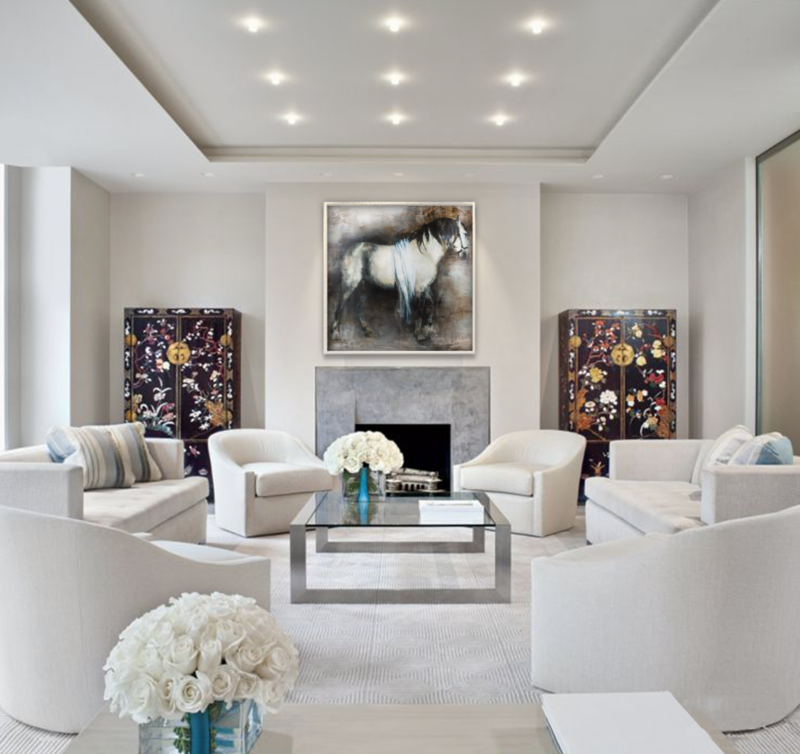 Artwork transforms every space it graces, however, sometimes natural lighting, refraction and reflection of light, as well as poorly lit areas can be harmful to or distract from the impact of the artwork. 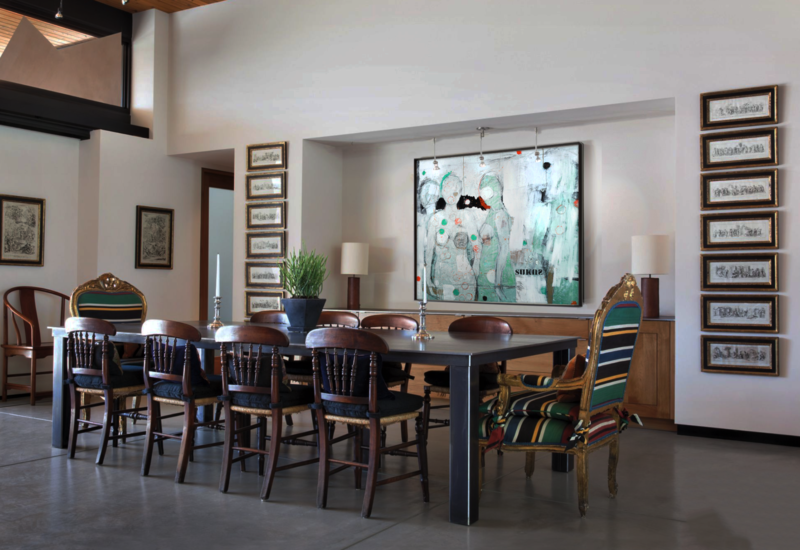 Here are a few helpful tips you can use to enhance the presentation of artwork in your home. There are a number of ways to rectify the lighting of a poorly lit area or illuminating artwork with a deeper, darker color palette. When hanging art in these areas, or with these tones, there are several options one can consider. These lights can be mounted on the ceiling and adjusted to provide more lighting to a specific area or surface. These lights are wonderful for artwork that has a darker color palette and needs an additional light source to draw out the color and highlight the piece. Monopoint lighting is especially favorable as it provides a direct light source with a variety of beam spreads that can be tailored to individual needs from widespread to concentrated – whatever best suits your illuminating needs. 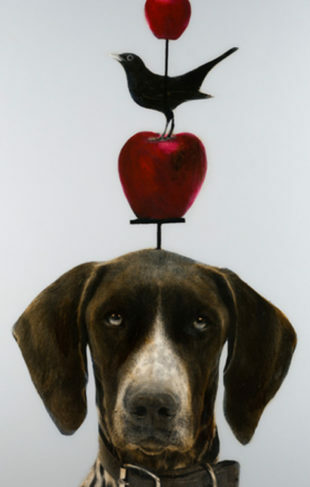 Simon, “Sumus,” Mixed Media on Canvas, 59 x 67 in. Track or rail lighting is a great option for artwork that you would like to spotlight. track or rail lights are not only easy to install, but they are also flexible. Similar to Monopoint, track lighting can be adjusted to direct light in the direction and centralization you wish to achieve. The track or rail aesthetic should be taken into consideration when debating which lighting method works best for you and your home. There are so many options available. Andrews, “Brooklyn 3,” Mixed Media on Canvas, 68 x 68 in. These lighting methods are used more so as a wall washing technique, which provides a wide and even distribution of light. This form of lighting, while great for large spaces, is not always ideal for objects or artworks that you wish to focus attention on. 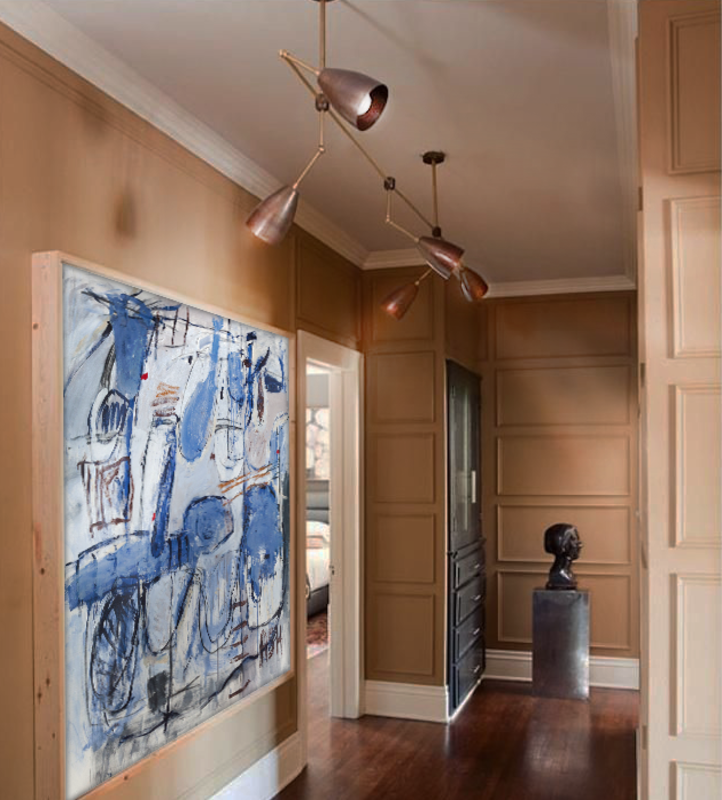 However, lights within the recessed or surface-mounted system can sometimes be placed strategically above the art, which then creates a soft and more direct form of illumination for the art as a focal point in the room. Borglum, “Moving Through the Folds,” Acrylic on Canvas, 60 x 60 in.